matt ryan's constantine, but with hellblazer's scars and eyes. 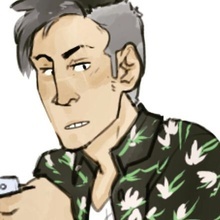 I'm a comic artist and dark arts enthusiast. I mostly drawing fandom work for others, if not for my own selfishness, but I also work on coloring and art for various clients. 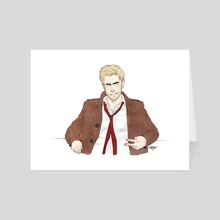 My artblog and online handle is trenchkoat, as I'm known for my Constantine fanart around the community.